I've shared printables and snippets of my Project Life (PL) spreads, but I recently realized I never shared the PL spreads in their entirety. I am up to date, so I'll be posting the rest soon. 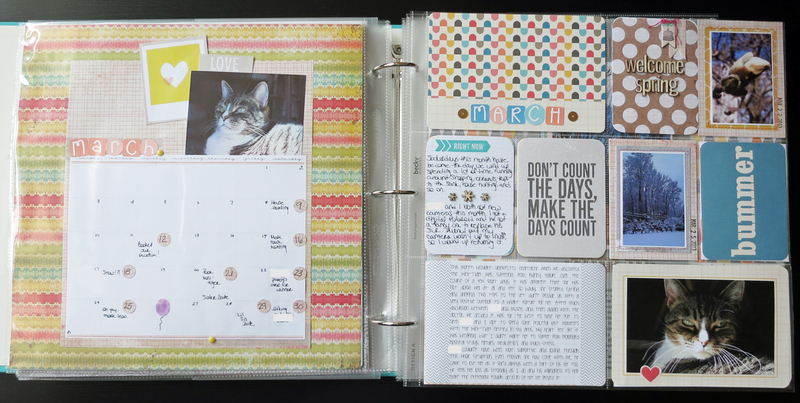 I love the addition of monthly PL spreads to my everyday album. I now have a dedicated space for journaling, since it doesn't always make it onto my pages, and there are places for little mementos, like ticket stubs. I love how each pocket becomes home to it's own little piece of artwork, and don't even get me started on the products! I am anxiously awaiting the arrival of 3 new mini kits from Becky Higgins and some of the new Pocket Pages products from MAMBI. 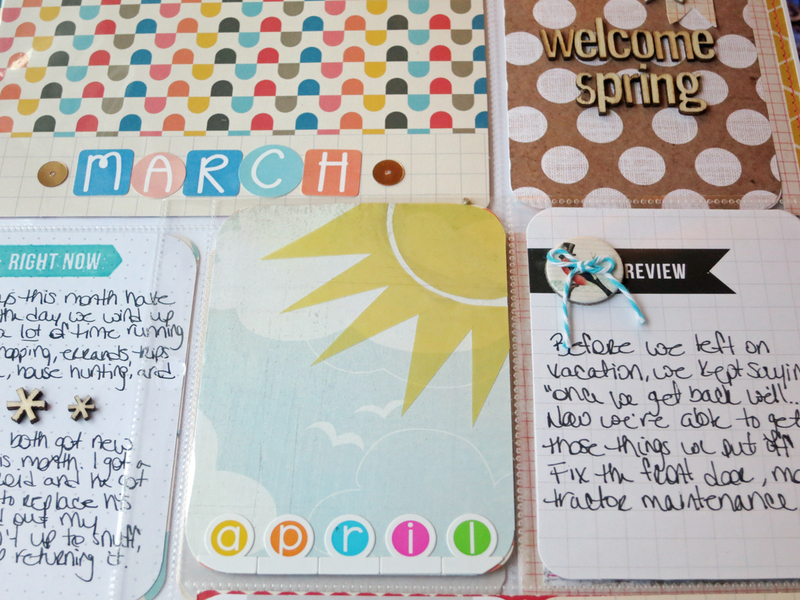 Do you scrapbook and make Project Life pages, or are you a one or the other kinda gal? I like the addition of the calendar. This year's PL album doesn't have any layouts in it. 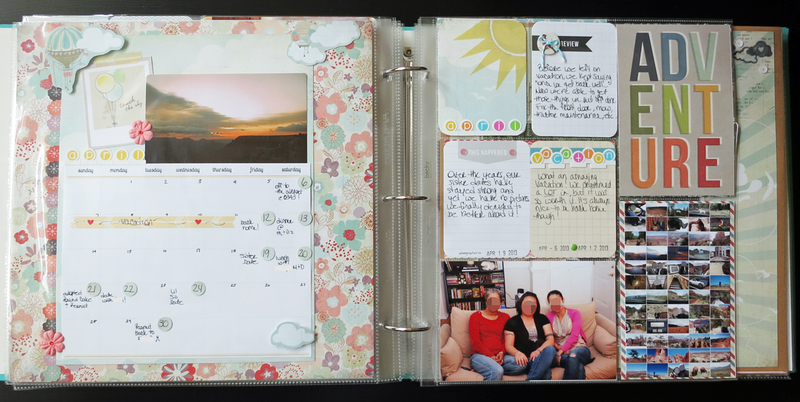 My vacation album is a combo of 12x12 layouts and pocket pages and my son's baby album is also. I love it! I really like how you mix up PL pages and regular scrapbook pages. Great album! Great PL! I love the mix of photo sizes and the calendar is a wonderful idea! Thanks ladies, without the calendar, I wouldn't remember anything!